All rates are for one passenger, and they include one-way travel only. Our shuttles run Monday – Sunday and services all of Santa Cruz County to San Jose and San Francisco International. Schedule a reservation conveniently online through our website. 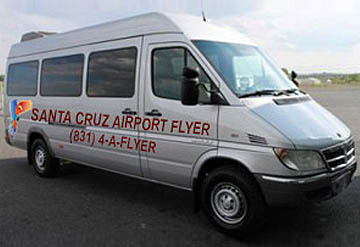 Santa Cruz Airport Flyer is a fully licensed, bonded and insured airporter company. We provide Santa Cruz County with a dependable and affordable airport shuttle service to San Jose Airport (SJC) and San Francisco Airport (SFO). 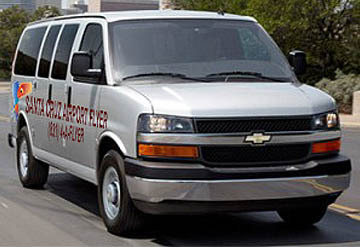 We employ professional and friendly drivers, with safe and clean vehicles for your airport transportation. Our airport shuttle leaves Aptos, Santa Cruz and Scotts Valley every two hours starting at 4:00am until 8:00pm, connecting you to/from SJC and SFO. 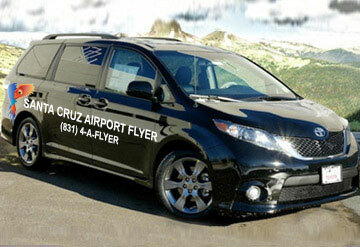 Please try our airporter and take advantage of our economical airport transportation. If you want to save time, money and aggravation, call on us. We can simplify your itinerary with our easy, convenient service. Take advantage of our low fares and free consultations – contact us today.